Both The Only Son and There Was a Father have full frame black-and-white transfers (1.33:1). While the presentation is more than satisfactory, the films do show their age. Being as old as it is, The Only Son has some print damage, including scratches and splotches on the screen. The monaural Japanese soundtrack also has some hiss in a few scenes. That said, the overall quality of the movie is very clear and the problems are never so bad as to take the viewer out of the narrative. Both movies have new English subtitle options and they are very good. The dialogue reads clearly and flows smoothly. 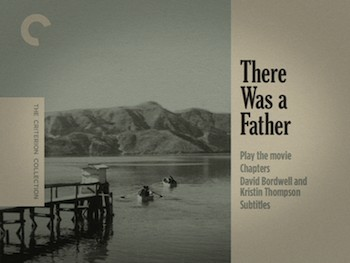 Both films have individual segments of joint interviews with film scholars David Bordwell and Kristin Thompson. 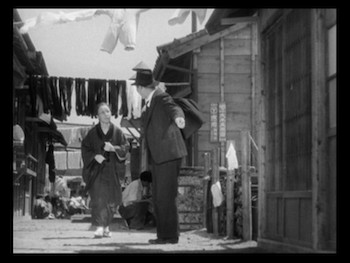 They discuss Ozu's work and the position of these movies in his canon. The piece on The Only Son runs just over 25 minutes, and the segment for Father is 23 minutes. The latter particularly talks about the message of the movie and the wartime climate. The Only Son has the added bonus of an interview with critic Tadao Sato. While the other interviews are new, Sato recorded his back in 2003. 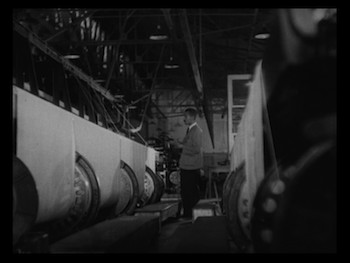 It runs 19 minutes, and he shares a Japanese perspective on Ozu. Highly Recommended. 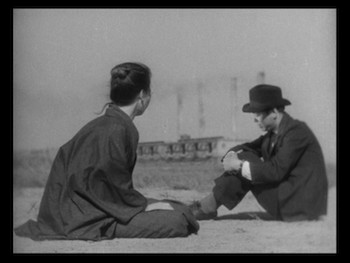 The Only Son/There Was a Father: Two Films by Yasujiro Ozu is another outstanding effort from the Criterion Collection. Though the films are not of equal quality, they have enough thematic connections to make this a nice package. 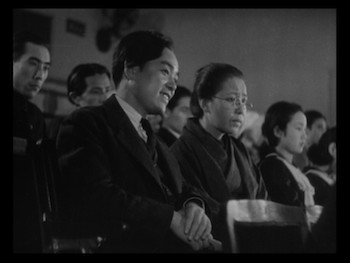 Fans of the father of Japanese cinema will appreciate The Only Son the most. Being the director's first sound picture, it has historical significance; it also tells a wonderful little tale of the connection between mother and son, ruminating on the sacrifices a parent makes for her child and the offspring's responsibility to do something with the opportunity. 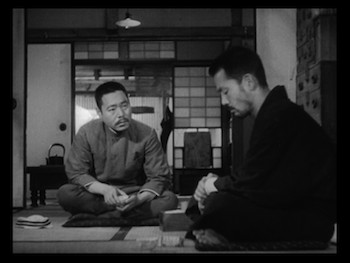 There Was a Father switches the focal point to be about a father and son instead, and though the movie was defanged by government pressure to make it a "socially responsible" narrative, it still has enough Ozu charm to make it worthwhile.